Vodacom is excited to be the first network in South Africa to launch the eagerly awaited LG G5 in market today. LG’s innovative modular type design gives the LG G5 the ability to transform into a digital camera, Hi-Fi player and more all while keeping its traditional removable battery in a full metal unibody design for the first time ever. Customers can purchase the G5 at Vodacom retail shops nationwide from 15 April 2016 starting from a Smart S contract for R549 per month.Vodacom offer’s customers a limited offer launch deal of a free CAM Plus Module worth R1199. 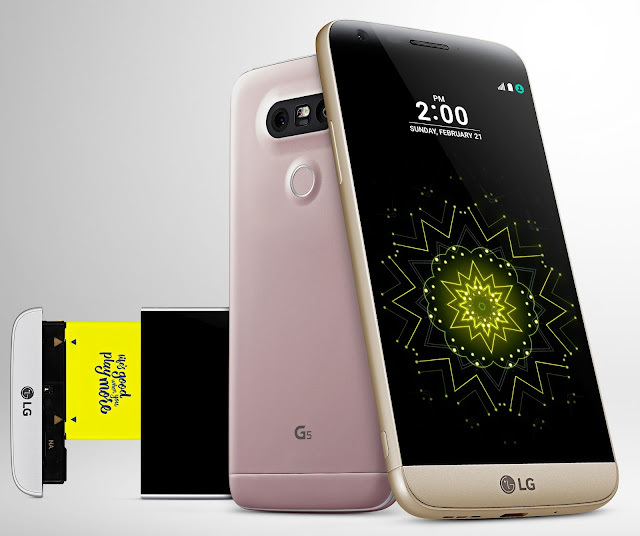 Customers can also purchase the LG G5 in Gold exclusively at Vodacom until June 6th 2016. The LG friends – 360” Camera, 360” VR Headset, B&O Hifi Module, will be available in May. For complete details on pricing, please visit www.vodacom.co.za to book one for yourself.